I will create one online games website for you with 1000 Games using WordPress CMS (Content Management System) . You can fetch & add more games to the website later. I will also provide Basic Logo (only text logo) & it's illustrator file. Games are from free sources and developer puts ad on games. If you order, then you should agree to this. Add Yoast SEO plugin & do advanced configuration for SEO. Add contact page with contact form . Put your ads in website. You have to send me login details of your hosting control panel or cpanel and mention the domain name on which I should create the website. Do you provide domain name or hosting? No, I do not provide domain name or hosting. I'll recommend purchasing a good shared hosting plan with a cPanel, if you haven't bought one yet. If you want me to help in choosing hosting at good price, I will help you. 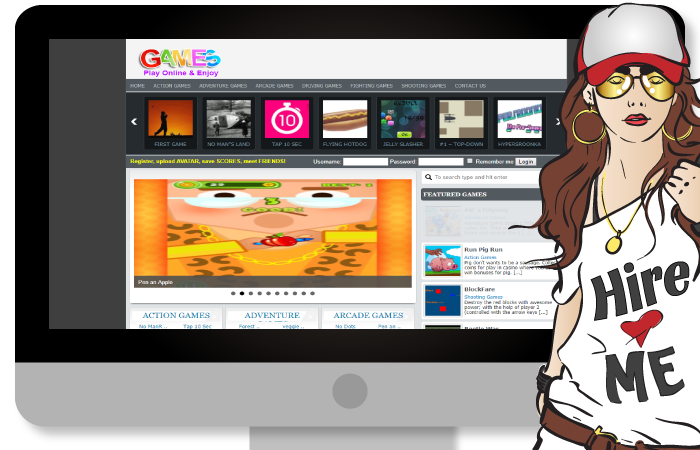 Create Online Games Website with 1000 Games is ranked 5 out of 5. Based on 3 user reviews.